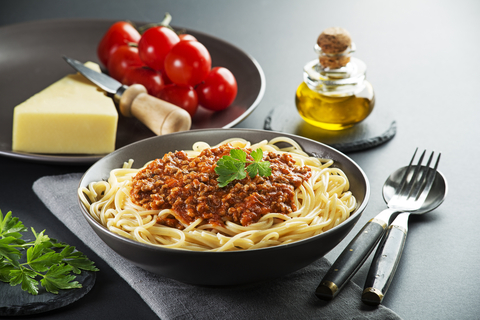 Another easy meal from my simple cooking recipes is Spaghetti Bolognese, which is quick and easy to prepare and cook and is even Banting Friendly. 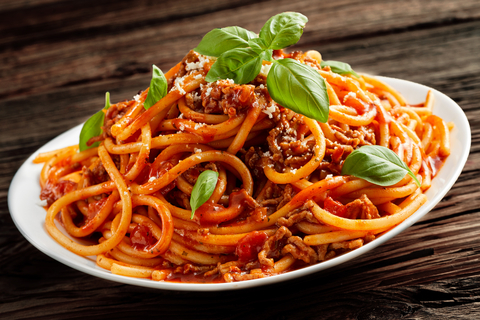 This Spaghetti Bolognese dish not only takes about 30 minutes to complete and is also very easy on the budget strings. I often make this when I am tired and hungry and do not feel like cooking a big meal, but also use if often if people spring a surprise visit. 300 to 400 grams beef mince depending on how many people you cooking for. 1med to large onion finely chopped. 425 gram tin chopped tomato. 2 heaped spoons Tomato sauce (ketchup). 500g Spaghetti or sliced zucchini for my Banting Friends. You can also add some freshly sliced mushrooms to the sauce, as well as sliced green peppers. Place a large saucepan on your hob and pour in the oil and heat. Next add your garlic and ginger whilst stirring. Add your beef mince and herbs and continue stirring. Add vinegar and Worcestershire sauce and stir so all the mince is coated, allow to cook for approximately 2 minutes. Now add your crushed tomato, (optional extras: fruit chutney sweet and Chilie sauce). Reduce heat add ketchup and simmer for 40 minutes stirring occasionally. 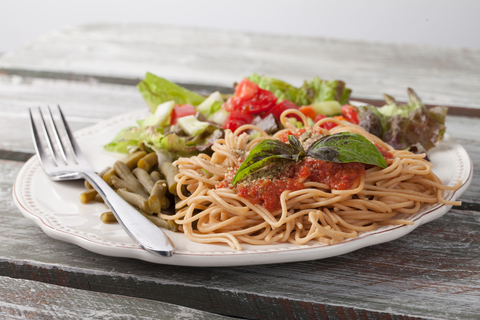 Place the spaghetti in a large deep serving dish. Pour the sauce over it and mix gently. A nice fresh Greek or Italian salad will always go well with this dish.